P & S Electric LLC is a licensed & insured electrical contractor. Our knowledgeable, well-mannered employees and reasonable prices make us a great choice for your next project. 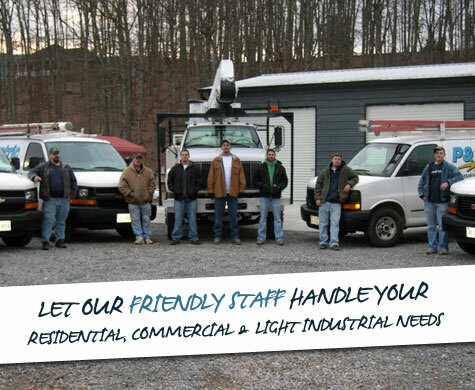 Based in Waynesboro, Virginia, P & S Electric LLC is well-equipped for residential, commercial and light industrial work. We currently serve Waynesboro, Staunton, Charlottesville and the surrounding communities. My wife and I recently bought an older house that had a number of electrical issues. P&S came in and did a great job correcting those issues quickly without breaking the bank. I would recommend their services to others without hesitation.